Welcome to the high performance Falcon Flight Fusion Frontier 3W Emergency LED Light Bar light bar designed with an outstanding and most up to date microprocessor circuit that facilitates low power consumption. Using the state-of-the-art Gen III LED technology it illuminates an powerful ray of light, which can be seen in any direction even in clear daylight. . The Falcon flight gives you the ability to choose from 15 warning light patterns, additionally you can choose from 4 traffic advisory patterns with just the touch of a button. The light bar is very easy to install and comes with mounting hardware for roof mount (For bar 37in and above mounting brackets are provided and for 27 and smaller magnet mounting is provided). There is no need to drill unnecessary holes into your vehicle to install this Light Bar. The Falcon Flight can also be hardwired to your existing switch box. Fully encapsulated and fully waterproof, all LED modules and flasher boards are epoxy coated, keeping it harmless from all weather conditions. 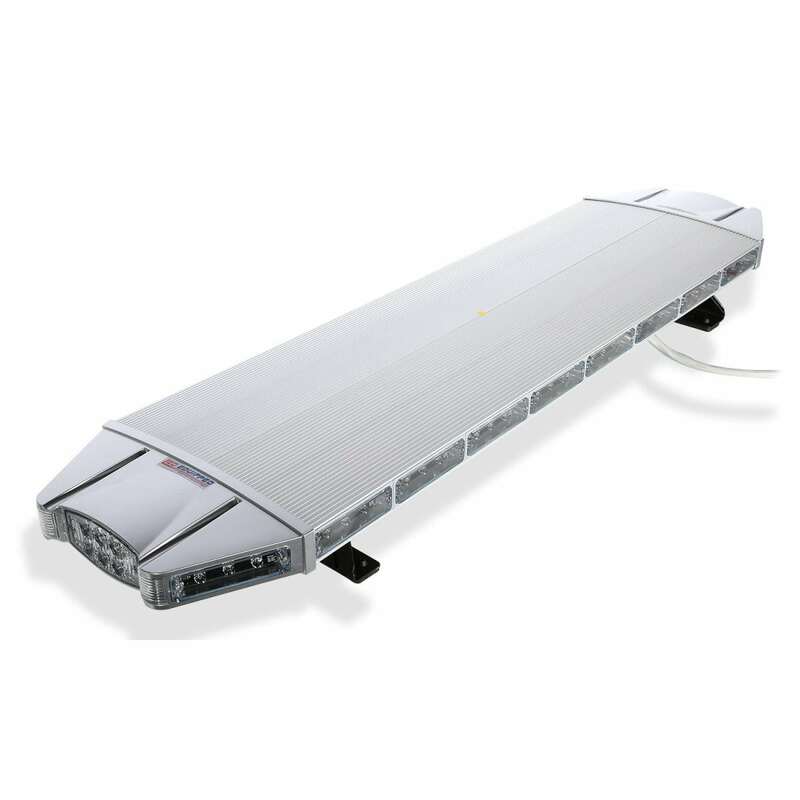 There are 68 Three watt LED’s which are long life and totally maintenance free. All models of Falcon Flight have a modular lens design that is extremely waterproof. The exterior frame is made of Double-layer aluminum. This kit includes a mounting kit and a 10 foot power cable. Electrical Specification: 12 Volt / 6.50 amps at peak. The dimensions are length 48 inches x width 12 inches x height 4 inches (including mounting).All magnet mount items should not be used at a speed of over 65 mph or on vehicles with an aluminum body.